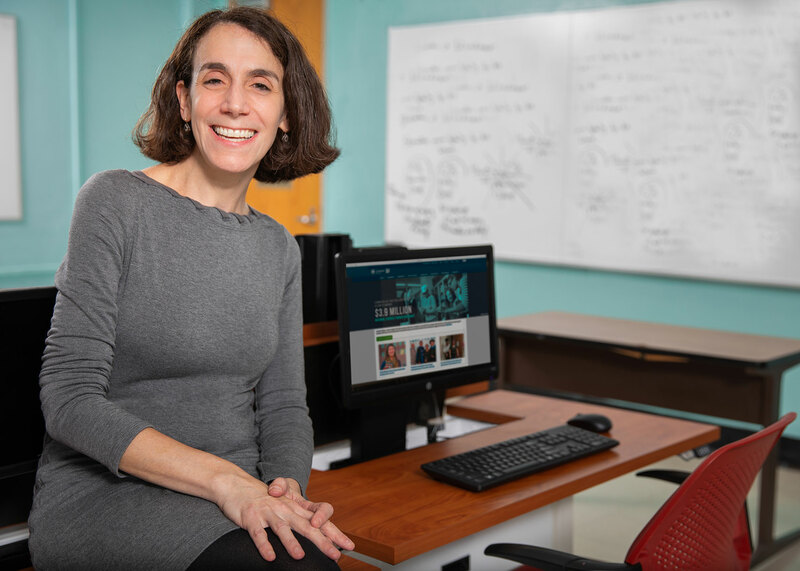 Esther Wilder, a Lehman professor of sociology, has been awarded a $1.5 million National Science Foundation (NSF) grant to improve the ability of STEM faculty to teach quantitative reasoning skills to undergraduate students. This project is a collaboration between Lehman, Baruch College and LaGuardia Community College, with Wilder serving as the principal investigator and director. The co-principal investigators are Dr. Eduardo Vianna, a professor of psychology at LaGuardia, and Dr. Dahlia Remler, a professor at Baruch’s Marxe School of Public and International Affairs. More than 100 faculty from both CUNY and other Hispanic Serving Institutions (HSIs) throughout the country will participate in the program over a five-year period. Wilder said that she anticipates that ten faculty members will come from Lehman, with a wide range of faculty from other CUNY colleges, including John Jay, Hunter, Bronx Community College, Hostos Community College, LaGuardia Community College, Queens College, the College of Staten Island, Brooklyn College, and Guttman Community College. The professional development program will include professors from STEM disciplines such as mathematics, computer science, life sciences, physical sciences, and social sciences. Wilder described QR “as the contextualized use of numbers in everyday life.” That includes a wide range of skills such as “making arguments with numerical information, interpreting and designing tables and graphs, and using rates and ratios appropriately.” The need for strong QR skills can present itself in a range of simple and complex situations such as calculating discounts when shopping, understanding your income tax, and in becoming a knowledgeable investor. She said research has shown that graduates with limited or weak QR skills can be “limited in the kinds of work they can do, and in their ability to participate fully in political, economic, and health-related decision-making..” Many of these students come to their undergraduate studies with “QR deficits and many are fearful of quantitative research,” according to Wilder. The second objective of the grant is to “implement a data analysis research experience for students.” Faculty who have trained in the program will be engaging students in primary data analysis and students will be involved in the compilation of the data they analyze. They will learn of variety of QR skills such as working with spreadsheets; calculating and interpreting rates, ratios, and percentages; and preparing and writing about graphs and tables. This NSF grant has a “rigorous evaluation component” that will allow Wilder, Remler and Vianna, to “gauge the effectiveness of our intervention more carefully and completely than most studies have done.” At the beginning and end of every semester, faculty will assess and evaluate students’ performance on QR tasks and their interest in data analysis. As director of the project, Wilder will have multiple responsibilities including recruiting and training the participating faculty. The grant’s official title is “Building Capacity: A Faculty Development Program to Increase Students' Quantitative Reasoning Skills and will go into effect on October 1, 2018.